Editor-in-chief Alicia Walker has been with Foodie almost since its inception. She was there when the Foodie Forks awards were first created back in 2012 and tells us about some of her experiences with the FFs over the years. How are the Foodie Forks different from other awards out there? Because they’re voted for by Foodie’s readers! They are a dedicated, food-loving crowd who know what they’re talking about. Plus, Foodie has been around for awhile and it takes a long time to build up that kind of mutual appreciation. 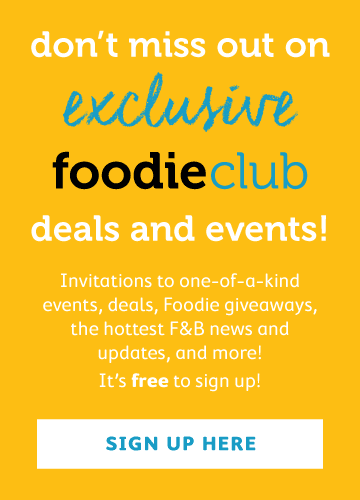 We host so many great events through Foodie Club and we get to speak one-on-one to our readers all the time and find out what they think in person, which is so nice in this often impersonal digital age (I know – I’m a dinosaur, but I still like to speak to faces off-screen sometimes too). I think the restaurants, bars and chefs that are nominated appreciate the Foodie Forks for this very reason, as it’s nice to be appreciated and told that you’re doing everything right by the people who eat and drink in your establishments week after week. So I think it’s a meaningful award, and it’s got history – something people can rely on in this ever-shifting city. Have there been any surprises over the years? Have there been many repeat winners? Our first year doing the awards, Yardbird won Best New Restaurant with a landslide of votes, so there was nothing unexpected about that, and it’s still at the top of its game now. MANA! has consistently been a readers’ favourite, and there are always one or two from the readers' favourite restaurant groups that although they've grown over the years, I think we've grown with them. Ones like Red Sauce Hospitality (formerly Homegrown) with stalwarts like Posto Pubblico, always get loads of votes; Blacksheep got their first nod back in 2014 when they only had Motorino and since then there is always one of their many cool new eateries in there. Every time Maximal Concepts opens a new one, readers go crazy for it; and Pirata Group too are a firm favourite with their great down to earth concepts like Pici. Hong Kongers like to support local businesses with a conscience, and that has only increased over the years – and I have no doubt it always will. The Chairman, Yat Lok and Kau Kee are usually big on votes, and it’s nice to see certain chefs crop up again and again for their consistent commitment to creating spectacular cuisine, chefs like Jaakko Sorsa, Vicky Cheng, Peter Cuong Franklin, May Chow, Nate Green, Shane Osborn, Uwe Opocensky, David Lai, and Vinny Lauria. What’s one of your favourite memories from the Foodie Forks? 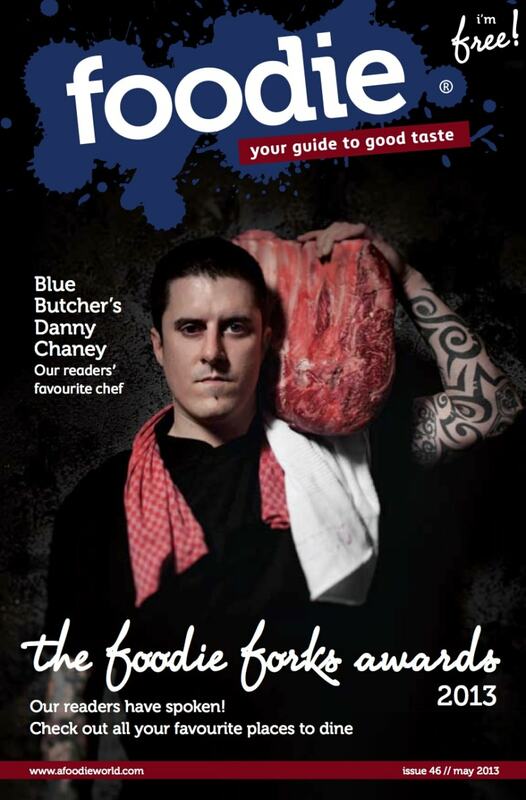 A few years back, we secretly told Danny Chaney from Blue Butcher that he had won the Chef of the Year award so that we could do a clandestine photo shoot before the awards. We had him holding one of his massive dry-aged hunks of beef on his shoulder and he had all these tribal tattoos running down his arm and was wearing this dead-hard “I’m serious about meat” look on his face. We had the magazine printed in time for the awards party and it was such a cool cover for the FF issue that year. Any restaurants that have won and then closed down? Too many good ones have gone. Robata Zawazawa, anyone remember that place? It was a little gem that I was sad to see go. One we still miss desperately is HOME – Eat to Live and then, of course, Serge et Le Phoque, we were such fans. 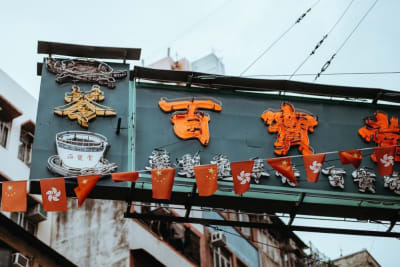 But Hong Kong is the perfect place for reinvention, and you can still find the people behind many of these closed-down restaurants cropping up in new interpretations. Looking back, there are quite a few places that didn’t make it in HK’s competitive dining scene, but there are also so many that have toiled and thrived at getting it just right. I think there have been so many great new restaurants that have opened that readers will have their work cut out for them deciding which to vote for – and these new ones are always at the forefront of everyone’s minds. But hopefully everyone will remember their old faves too because those are the ones that need it most, those without that buzz that comes with an opening. It often comes down to the last few days of voting – there’s always a huge rush of votes right before the votes close, and sometimes this tips the underdog right over the top. Vote for Foodie Forks 2019 now!